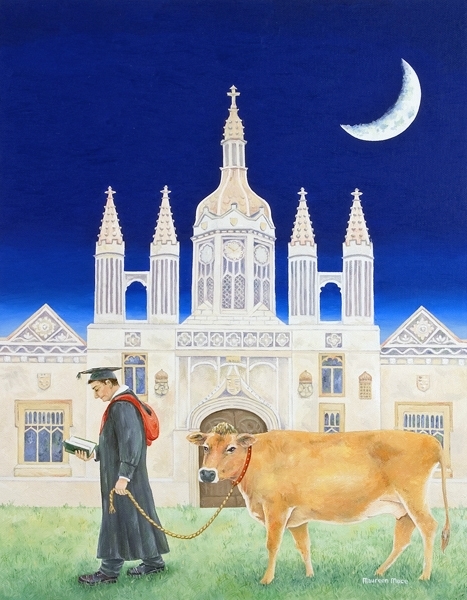 Walk along King's Parade in the centre of Cambridge at any time of the year and you will see an assortment of visitors, students, professors, porters and learned people. At the degree ceremonies, which last several days, the street is full of young people and their tutors dressed in robes. This don is trying to catch up on some reading whilst he takes his cow out to an imaginary pasture.